At Peach Garden, we put enormous time and effort into exceeding the expectations of our guests for any events. We devise fresh approaches to catering and creating scrumptious fares and menus. Be it a formal dining occasion or an intimate private get-together, we ensure that your vision is reflected in every detail. Drop-off private catering services are available for those who prefer convenience. Alternatively, our chefs can recreate the Peach Garden culinary experience with our on-site cooking service. Coupled with our dedicated kitchen and waiting staff, you can enjoy superior food and luxurious service right at your doorsteps. Opt either for a package or plan a unique menu of your own with our chefs. Either way, we can assure you that the Peach Garden's premium buffet catering service is bound to delight even the most discriminating gastronomists. Transport charge at $120+ ($128.40 Incl. GST). Setup is inclusive of disposable crockery, cutlery, serviette, buffet tables, table cloths & skirting. A minimum of 30 pax is required for above menu. 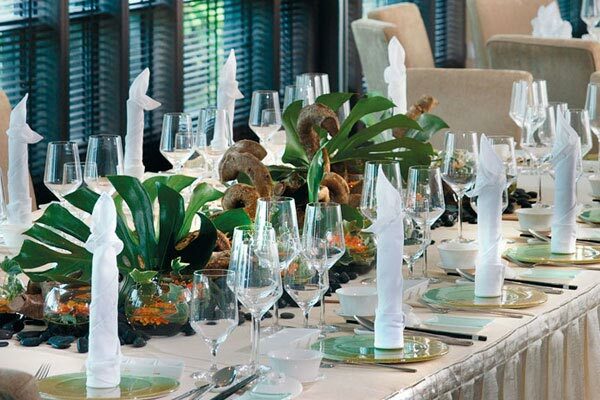 Upgrading to quality chinaware, cutlery, crystal glassware and napkin is available for hire at prevailing rates. Additional items or services such as uniformed services staff, chef, cocktail tables with full-drop linen, banquet chairs, fresh flower arrangement at buffet line, open beverages are available at prevailing rates as well. Order must be made at least 5 (five) days in advance prior to event date. Upon confirmation, cancellation made 5 days before the event will incur a penalty 50% of the total food price, and cancellation made within 24 hours of the event date will incur a 80% penalty of the total food price. Prices quoted are subject to prevailing government tax. Food is best consumed within 3 hours. Orders are subjected to additional $100+ surcharge during F1 Period. Menu is not available during CNY Period. Value added services from Sweetest Moments Gift Box are only available for minimum order of 50 boxes and above. Peach Garden Management reserve the rights to change the menus, terms and conditions without prior notice. Get 5% off from gift box ordering. Get Free Delivery (worth $18+) for orders of 50 boxes and above. All prices quoted are subjected to 10% service charge and prevailing government taxes.